Explore some of the most breathtaking islands of Polynesia as Silversea Expedition's luxurious Silver Discoverer sails from Papeete, Tahiti to Apia, Samoa Islands on a 14-day voyage. 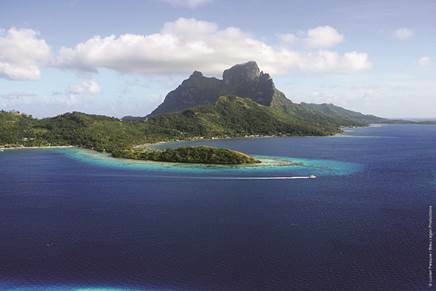 Departing on 4 November 2015, Silver Discoverer sails to the spectacular island paradise of Bora Bora, world-renowned as one of the planet's most stunning destinations, with its emerald-green hills, ancient marae stone temples and tranquil sapphire-blue lagoons, before cruising to the laid-back Cook Islands. Porting at Aitutaki, Suwarrow Atoll and Manihiki, guests travel ashore by Zodiac to be greeted by local warriors, scout for breath-taking humpback whales and green turtles, encounter masked, brown and red-footed boobies in a protected National Park, and swim or snorkel around submerged lines of precious black pearls. Silver Discoverer continues her journey to the islands of Kiribati, the world's largest marine reserve, soon to be completely submerged by the waters of the Pacific. Here, guests can encounter the 153 species of bird and marine life that inhabit the island of Kanton, before cruising to the Phoenix Islands Protected Area, a pristine UNESCO World Heritage Site. This voyage concludes on the breathtaking shores of Apia, Samoa, where guests are treated to a traditional fire dance and a guided tour of the fascinating history and culture of this unique island nation. Prices are per person starting from AU$16,750 in a View Suite based on double occupancy. Silversea Expeditions' fares include: all shore and Zodiac excursions hosted by an expedition leader; all-suite accommodation with butler service; gourmet meals with menus inspired by Relais & Châteaux; complimentary wines, Champagne and spirits served throughout the ship; an outstanding expedition team of expert guides and lecturers; and all gratuities.